Harrier Fields Farm practices rotational grazing with its herd of Devon cattle. The KK&P team conducted interviews with 40 farms and five slaughterhouses in the 16-county Hudson Valley region, as well as a number of agriculture sector experts and stakeholders. The KK&P team conducted farm visits and in-person interviews with several farmers in the Hudson Valley. 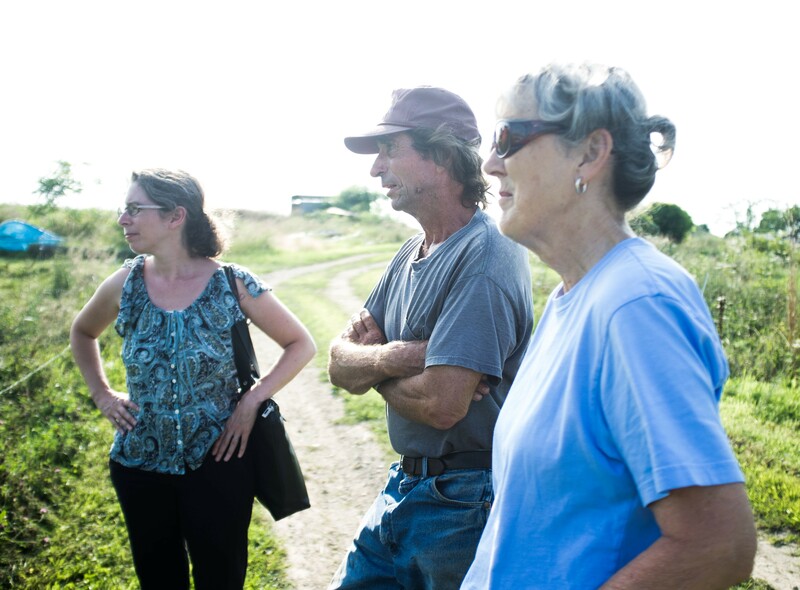 Here, Karin Endy (l) talks with Mike Scannel and Joan Harris at Harrier Fields Farm. 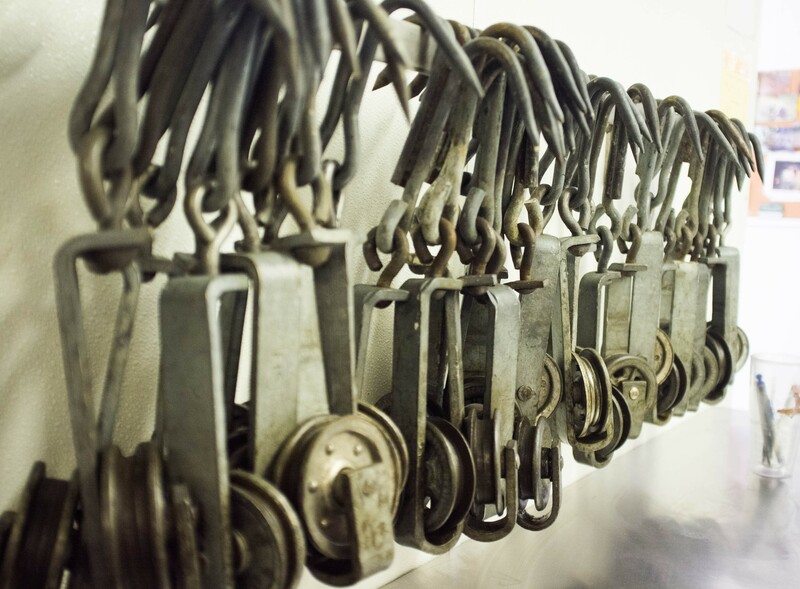 KK&P recommended that Hudson Valley slaughterhouses expand their niche services and focus on quality. Erin Bradt of Helder-Herdwyck Farm raises Herdwyck sheep, a breed that is well-suited to the Northeast's cold winters. Hawthorne Valley Farm in Columbia County raises pigs and beef as part of a diversified farm operation. 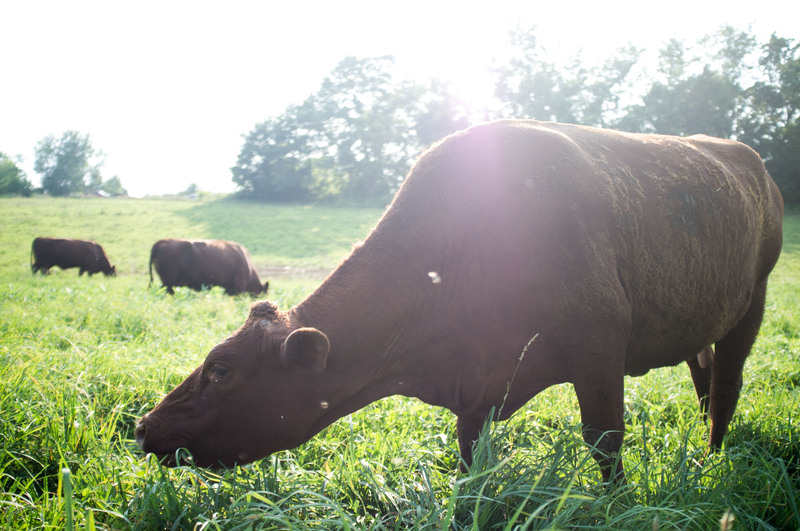 Demand for locally sourced, pasture-raised, and grass-fed meats is growing and unmet everywhere. 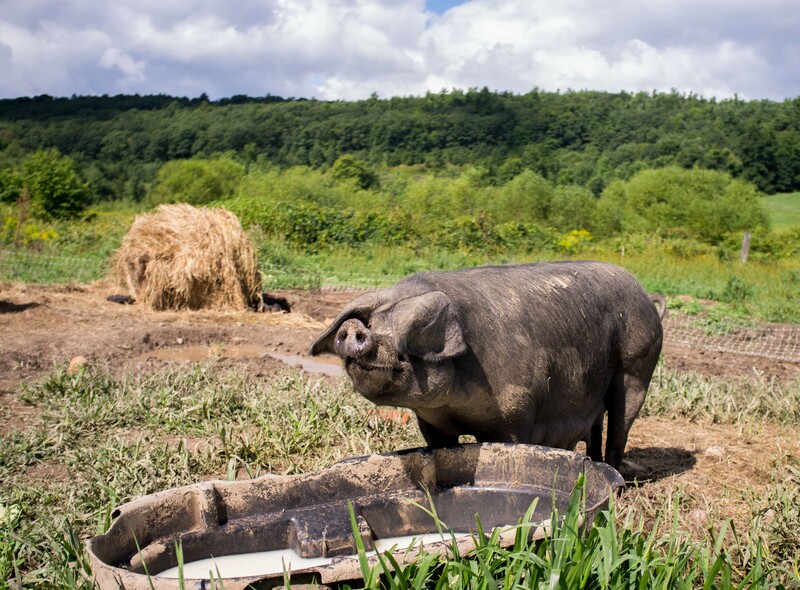 The Hudson Valley region is well-suited to pasture-based, humane livestock farming and meat production, and the growth in market demand for this type of meat presents a powerful opportunity for regional farmers. 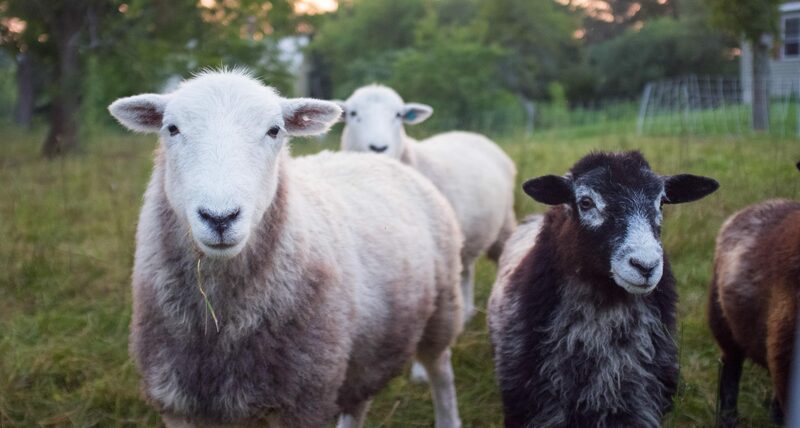 Glynwood is an organization that seeks to build a regional food system that includes sustainable meat farming and processing, and wanted to understand the challenges and opportunities facing Hudson Valley livestock producers. Glynwood wanted to understand the challenges and opportunities facing Hudson Valley livestock producers. Karen Karp & Partners conducted qualitative research, including first-person interviews with farmers, processors, and key stakeholders in a 16-county study area, to understand the challenges and opportunities for increasing both the scale and sustainability of regional meat operations. The team reviewed data on livestock production and processing and combed the literature, synthesizing regional studies on livestock production and slaughter in the Hudson Valley and reports and recommendations from outside the region. Recommendations will support increased production and sustainability, trigger new investment, and forge new links in the value chain. A comprehensive report detailing regional production of beef, lamb, pork, and goat and an analysis of the slaughter and processing capacity led to recommendations that will support increased meat production in the region, trigger investment in growing existing operations, foster the use of sustainable practices, and lead to new operations that will address missing links in the value chain.